No, while I’m happy to leave the flowers, choccies and even the dinner reservation to my husband, I’d rather not leave it chance; I’ll treat myself to a new perfume, one that I know I will love and will stay with me a lot longer than many modern day romances. So I thought I’d round up five of my current favourites that I think would make a great Valentine’s Day gift, either for yourself or even for your Galentine. 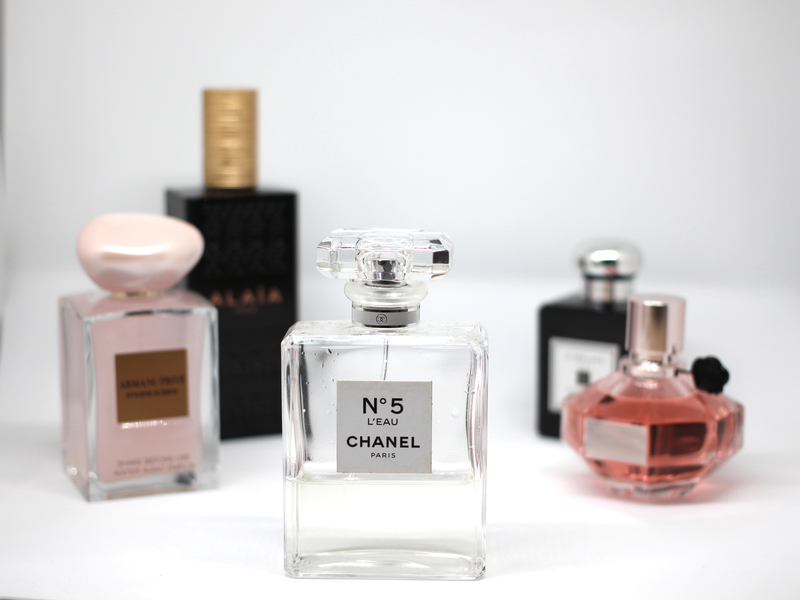 You can never go wrong with the classic that is Chanel No 5, but Chanel No 5 L’Eau is even more perfect. It’s fresh, light yet with the unmistakable the modern take on this all time favourite – it’s a floral without being overbearing and is my go-to everyday. If you prefer your florals to be stronger, head to the new Viktor & Rolf Flowerbomb Nectar. Much sweeter, much more intense, if you’ve loved the previous incarnations of Flowerbomb, you’re going to love this. It’s like stepping into a florist shop that’s full of vanilla candy – very more-ish and you just want to keep inhaling because it smells so delectable! 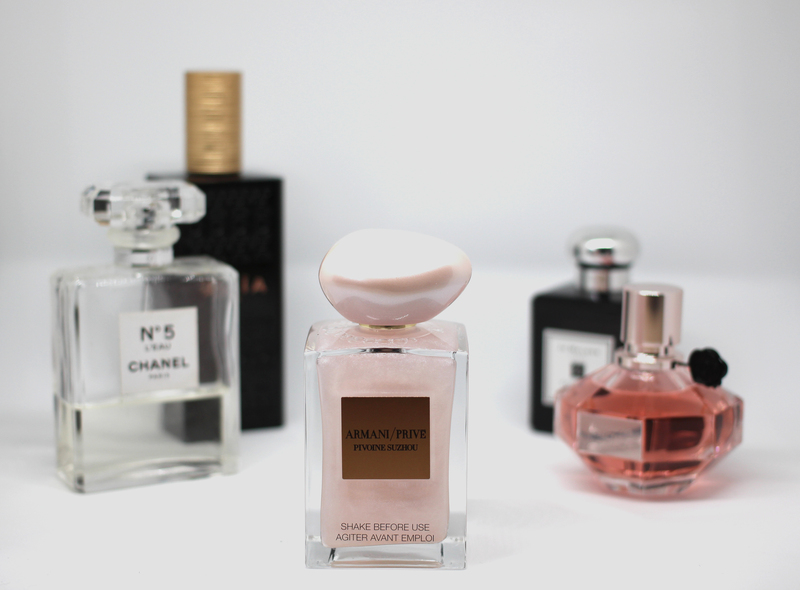 One of the prettiest fragrances on the market has to be the Armani Prive Pivoine Suzhou. Admittedly, the ‘Soie de Nacre’ version I have with its beautiful oyster pink lid and the dreamy pink shimmer that runs through it (when you shake it) is limited edition, but the perfume itself is so different from anything else I’ve ever smelled that the regular edition with the black lid and no pink shimmer will be just as much a favourite too. It’s definitely one of my loves, combining the floral peony with the headiness of musk, amber and patchouli, with a hint of pink pepper for a cheeky spiciness to it. Last but by no means least, a current favourite that I only discovered last autumn. 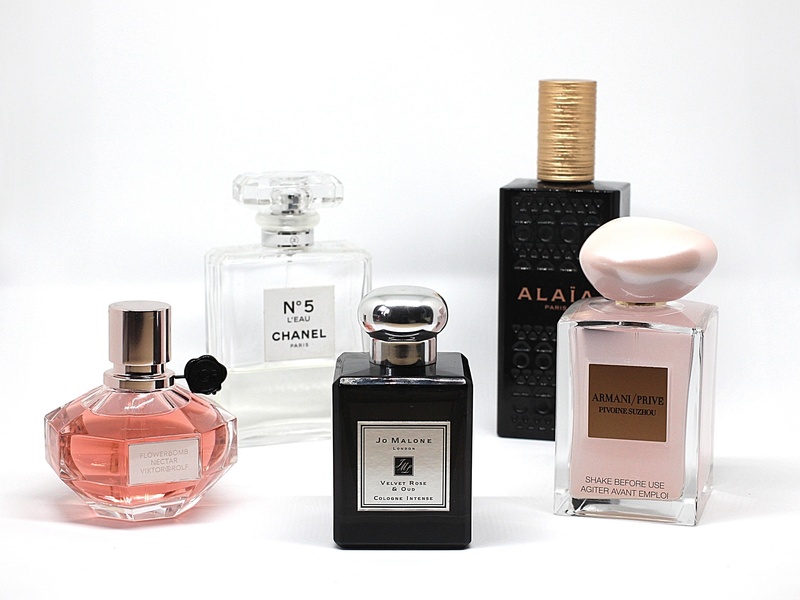 If I’m not wearing an oud-y fragrance, I veer towards an intense rose, so you can imagine how elated I was to find Jo Malone Velvet Rose & Oud… but why did it take me so long? Anyhow, now that I have, it’s another staple in my perfume collection. I hate a wimpy, unsubstantial rose – my rose perfumes need to have be solid and robust, heady and musky and this one does all that and more. It’s a grown up rose, not that rose you remember from your teenage body sprays. The elegant Damask Rose brings its sophistication to this Cologne Intense, while the smokey oud wood keeps it firmly out of sickly-sweet territory and there’s a hint of clove for some added spice. 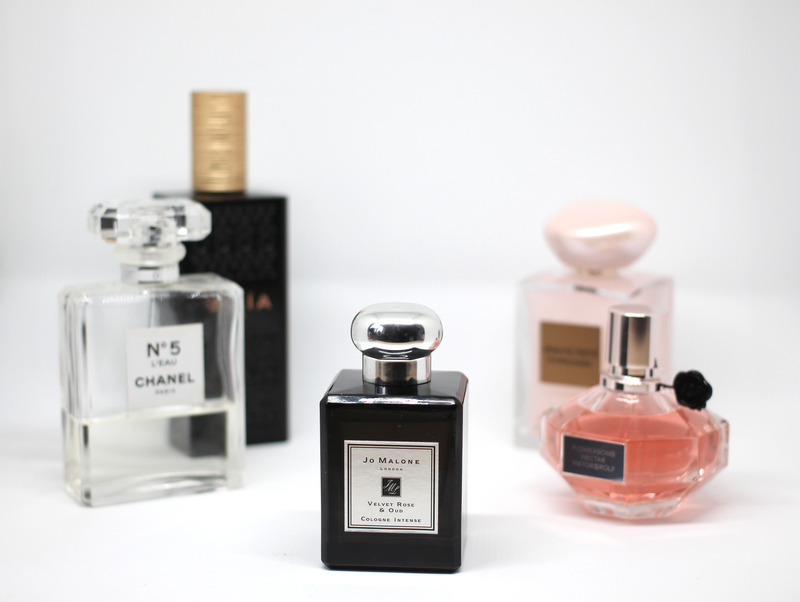 So there you have it – my top five recommendations for a Valentine’s perfume – whether it’s for you or for someone else, you can’t go wrong with any of these. 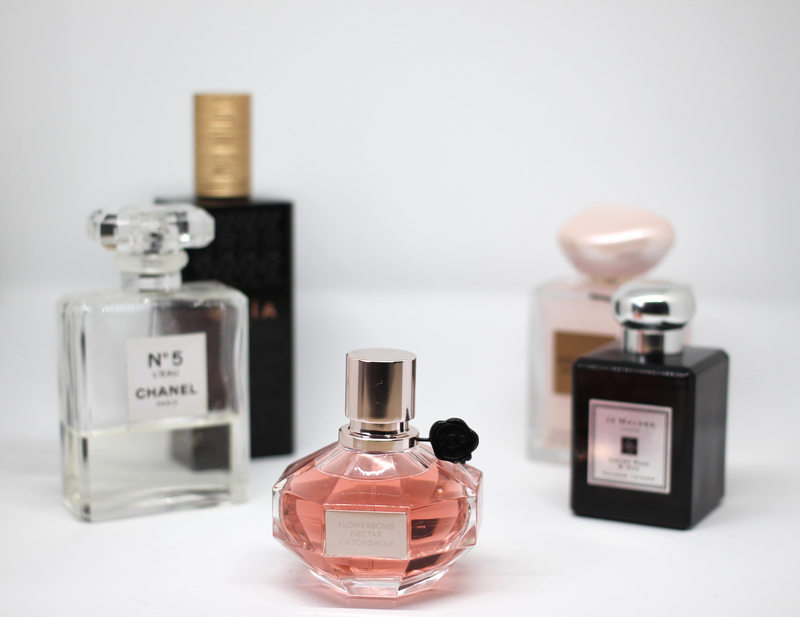 What are you favourite perfumes? Let me know in the comments below. Previous Post Lash Lift… Lash Envy for my own lashes!